Spring brings with it a ton of positives like warmer weather, blooming flowers, lush lawns, and cool, spring evenings. But it can also bring with it major damages to your home. Spring weather can destroy your basement and foundation. How? The rain mixes with the soil around your home, over-saturating the ground, and puts a tremendous amount of stress on the walls of your basement and foundation. Spring is especially bad with this because of the rain that falls every April and May. Spring showers can bring flooding and cracks to your basement. Your home is already at a disadvantage because the ground may already be full from the last of the melted snow. Waiting until after the Spring rains to repair your foundation may be a huge mistake. If your home is more than a year old, this problem has been happening every spring and winter. As snow and rain combine with freezing temperatures, damage is done to the cement or concrete in your foundation. Chances are, you’ve experienced small cracks, moisture, mold and mildew growth in the basement over the years. Unfortunately, they only get worse as time passes. When spring rolls around, the water damages, cracks, mold, etc multiply. The more it rains, the more pronounced the problems become. If you have the foundation repaired ahead of the rain, you will be able to both stop future problems from happening and stop the problem from getting worse. Take advantage of the warmer temperatures and softer soil! During the winter, the ground freezes. This, plus rain, means that the ground expands often, and it puts pressure on the walls of the foundation and basement. When the weather gets very cold for long stretches, the ground expands further, making it a nightmare for your foundation. When the soil defrosts in the spring, it’s a perfect time for a basement contractor to be able to dig out the ground around your home and put the soil back in properly. This also helps the contractor be able to brace the outer walls and dig drainage, if necessary. 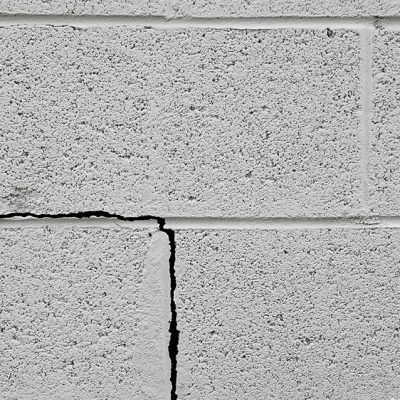 If you take the opportunity this spring to waterproof and make your foundation stronger, you’ll ensure a strong, safe, and crack free home. To get a Free Estimate on Basement Waterproofing or Foundation Repair in the Toledo, Ohio area, please click here.